What are mammals, and what to do they do? Explore the fascinating answer with your child through Eye Wonder: Mammals, a learning tool packed with pictures, facts, and games that visual learners will love! Kids who love animals will be fascinated with the information in Eye Wonder: Mammals - from tiny shrews to enormous elephants, from bears to monkeys to whales and bloodsucking bats, this book takes you inside the world of mammals, teaching about how and where they live. 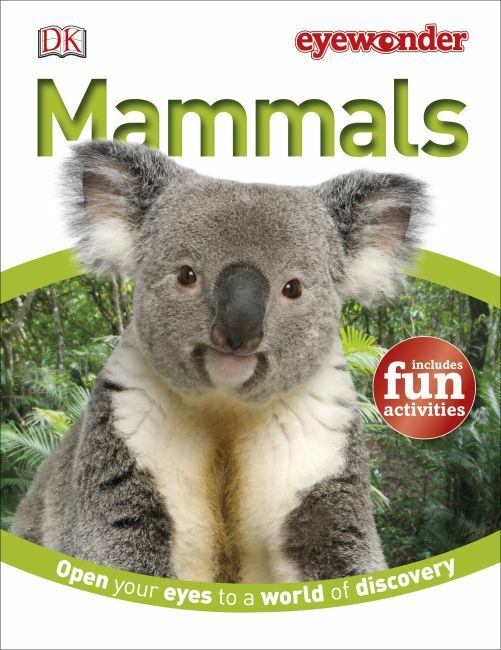 We've added fun new activities to this edition, too, to make learning even more fun and effective.Visual learners and readers alike will love exploring and learning through Eye Wonder: Mammals. These books are designed to teach through pictures and a visual approach, encouraging curiosity in young, school-age children. We've added games, activities, and quizzes to engage children even more - Eye Wonder: Mammals activities are designed to teach kids to both remember more of what they've learned, and learn to research when they want to know more, teaching general study skills as well as mammal-specific knowledge.